A U.S. government satellite that was scheduled to launch into orbit early Tuesday morning was delayed after a technical hitch. The Joint Polar Satellite System-1 satellite, or JPSS-1, was scheduled to launch into a polar orbit from California’s Vandenberg Air Force Base. But a bad reading during the first stage of its launch, combined with boats nearby, forced scientists to postpone. The mission is being led by the NOAA, the agency responsible for the oceans and atmosphere, and overseen by NASA. The satellite will have to wait for at least 24 hours before launching again, as the delay meant it missed the short 66 second window necessary to reach its orbit. Wednesday’s launch is scheduled for 4:47 a.m. EST. Once in orbit, the JPSS-1 will measure the temperature of the atmosphere and sea surfaces, humidity, volcanic eruptions, forest fires, and rainfall. The NOAA claims it will increase the accuracy of three to seven day weather forecasts, particularly in the case of severe weather events. 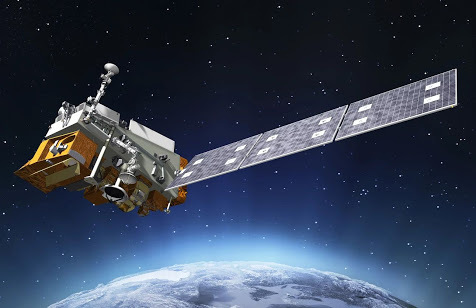 It is the first in a series of four new satellites scheduled to be launched into polar orbit by the NOAA.